The top stocks to watch today (Monday) are Credit Suisse Group AG (NYSE ADR: CS), Chinese Internet portal company Fang Holdings Ltd. (NYSE: SFUN), and Tesla Inc. (Nasdaq: TSLA). U.S. manufacturing data will be released today on the heels of a decline in the UK Purchasing Managers' Index (PMI). The PMI fell from 54.5 to 54.2 between February and March in the UK. The U.S. PMI and Institute for Supply Management (ISM) report will be released today at 9:45 a.m. and 10:00 a.m. The PMI is an indicator of the health of the manufacturing sector. The index is based on new orders, inventory levels, supplier deliveries, production, and the employment environment. This is a main indicator to determine whether President Trump is bringing manufacturing jobs back. 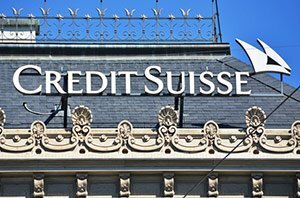 Credit Suisse stock is down 1% in early morning trading. The drop in stock price is due to the continued sell-off of the troubled Swiss bank. Last Thursday, offices in three cities were raided in relation to customer tax concerns. The bank is cooperating with local authorities in London, Paris, and Amsterdam, despite the bank nor Swiss authorities knowing about the raid ahead of time. CS stock is currently trading at $14.84 for a gain of 3.7% so far this year. Fang Holdings stock is down 3.4% in early morning trading after gaining 22.6% on Friday. The Chinese online real estate portal announced earnings on Friday. Despite quarterly revenue falling 42% from the same quarter a year ago, the stock soared on news about returning to an open-platform strategy. Fang Holdings is hoping to return to growth by reverting back to its previous strategy and today's drop is likely due to the market adjusting its expectations for the company over the weekend. SFUN stock is trading at $3.26 for a loss of 0.6% year to date. Tesla stock is up 3.5% in early morning trading after beating delivery expectations. The company increased Q1 deliveries by 69% over the year-ago quarter. Analysts projected 23,000 to 24,500 cars to be delivered for the quarter, but Tesla delivered 25,000. This keeps the company on pace to deliver 47,000 to 50,000 for the first six months of the year. Tesla is ramping up production as it prepares to launch the Model 3 sedan, a more budget-friendly electric car, in July. TSLA stock is currently trading for $278.30 for a gain of 30.2% so far this year.